Delicious bar with excellent composition. It contains 28% protein for building muscle mass, and 45% carbohydrates to provide more power during strength training. Ideal as a replacement for auxiliary and addition to your basic diet. Delicious taste! EXCELLENT COMPOSITION UNTIL 28G PROTEIN IN ANY BAR! 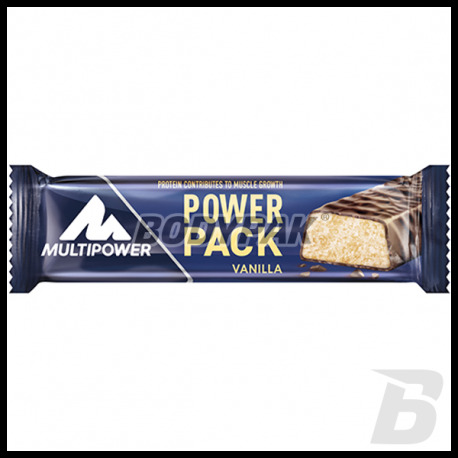 Multipower Power Pak is a product that you sweeten even the most rigorous diet and introduce a little flavor to its monotony. If you had the opportunity to eat other protein bars, you know that usually are poor in taste or incredibly calories - this is not the case. With a small amount of fat and overall calorie managed to get an interesting flavor that will satisfy any taste. The taste is an important parameter, but more important is the composition! In each Batoni is 28% percent of the full-value proteins (for version vanilla flavor), 16% carbohydrates and 3.5% fat. As you can see nutrients found of the bar you look good and you can be sure it will help you maintain a balanced diet! 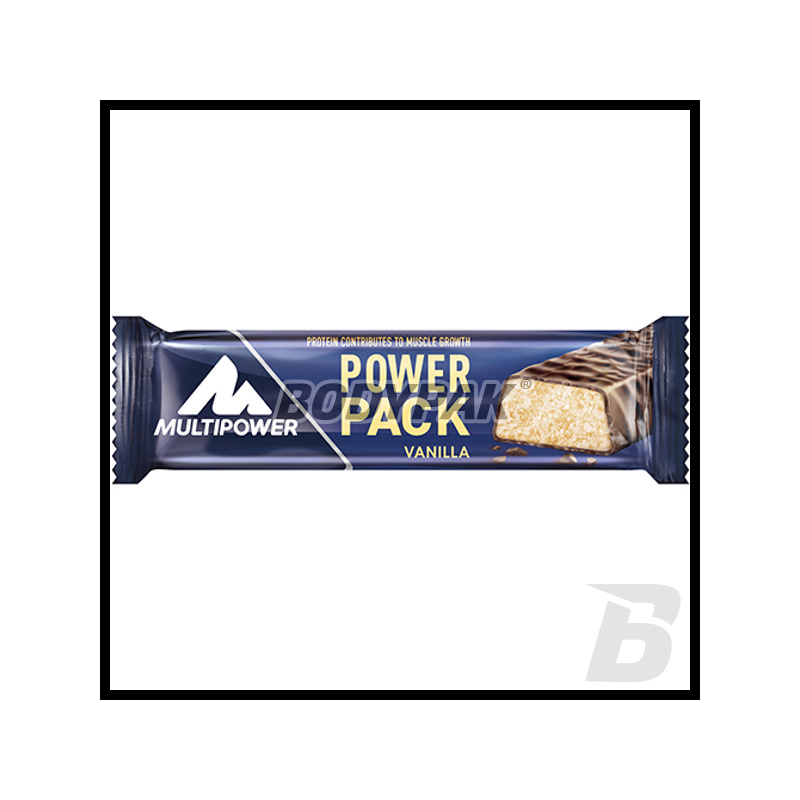 Multipower Power Pak meet your nutritional needs but also help cope with crisis situations when you will not be able to eat a regular meal or starts to bug you craving for something sweet - a perfect snack that is not fraught with significant consequences. Suitable inclusion stick in the balance of the diet results in correcting them to zero. Each should be a moment of forgetfulness - you too! MULTIPOWER POWER PAK - life will TASTE! ALSO while losing weight! Power Pack 1-2 bars at any time of the day. Składniki: białka mleka, syrop glukozowy, sytop fruktozowy, mleczna czekolada (17%)(cukier, mleko w proszku, tłuszcz kakaowy, masa kakaowa, emulgator: lecytyna słonecznikowa, aromaty naturalne), pasta migdałowa, hydrolizat kolagenu, ryż dmuchany, aromaty, olej palmowy, ryboflawina. Zawiera laktozę. Batonik o dobrym składzie.Cena podobna do innych batonów. Czekolada biała świetnie smakuje. Muszę zgodzić się z opisem produktu. Rzeczywiście różni się od większości batonów proteinowych. Ma bardzo przyjemny smak, co jak dla mnie ma niemałe znaczenie.